17th April, 2019. Removed references to ENWorld database which is gone. 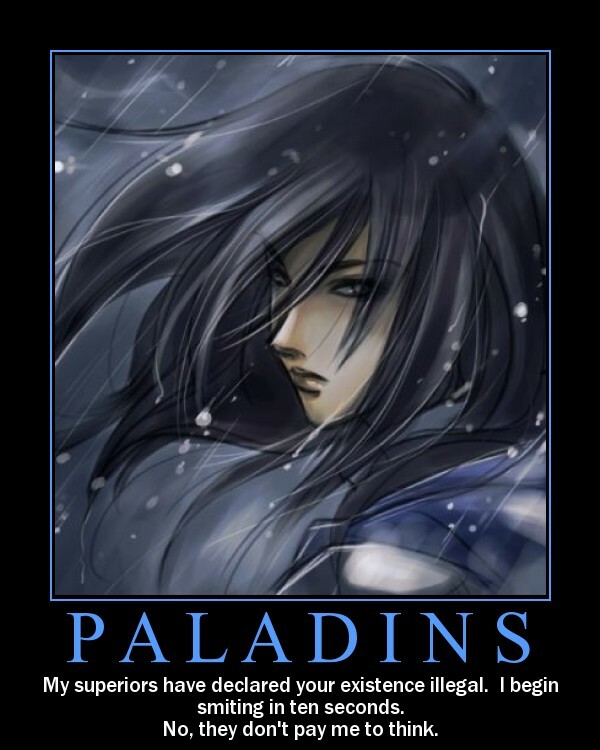 Weapon Groups: Paladins are proficient in Simple and Martial weapons from any group they gain proficiency in. Choose any 6 weapon groups. Skills: Choose 2 from Athletics, Endurance, Insight, Intimidation, Medicine, Persuasion, Religion, Swim. Charge Leader. (Heroes of the Blade EN5ider, John Lynch). Fisticuffs (EN5ider, Speaking with Fists, Josh Gentry). Phalanx. (Heroes of the Blade EN5ider, John Lynch). Oath of the Ancients. (PHB p86). Oath of the Angelic Avatar. (Celestial Grafts: Angels & Avatars EN5ider article, Mike Myler). Oath of Conquest. (Xanathar's Guide to Everything p37, Wizards of the Coast). Oath of Courage. (I Ain't Afraid of No Ghost EN5ider article Kiel Chenier). Oath of the Crown. (Sword Coast Adventurer's Guide p132, Wizards of the Coast). Oath of Devotion. (PHB p85). Oath of Redemtion. (Xanathar's Guide to Everything p38, Wizards of the Coast). Oath of Treachery. (Unearthed Arcana, Wizards of the Coast). Oath of Vengeance. (PHB p87). Paladins can have spell lists with the following number of spells: 6 for spell levels 1-3; 3 for spell levels 4-5. (Spells gained from other means, such as oaths, do not count towards these limits).